A couple of posts back I informed you that I am pregnant and that I would be back with a hair update fairly soon. Well, instead of an actual update my very next post was a video tutorial on how I achieve my big curly hair. If I’m being honest, that video sums up my hair as of late. Ever since morning sickness kicked in I found it harder to stick to my once a week pre-poo, washing, deep conditioning, and twisting routine. What made life easier in the end was stick to wash and gos as it was the quickest to do and required the least amount of effort. At night I would either pineapple my hair or if I was really lazy I would just make a low pony tail and sleep on a silk lined pillow. Now that I have the bounce back in my step, I’m slowly returning to my original hair regime (with some product changes), which brings me to some exciting news: As of July, I’ll be participating in a Hair Growth Challenge. This challenge is spearheaded by my friend and blogger Mandy Cooke from The Mandy Expedition and couldn’t come at a better time for me. It’s the perfect push I need to get my routine back on track, since my goal is still to grow my hair to waist length. 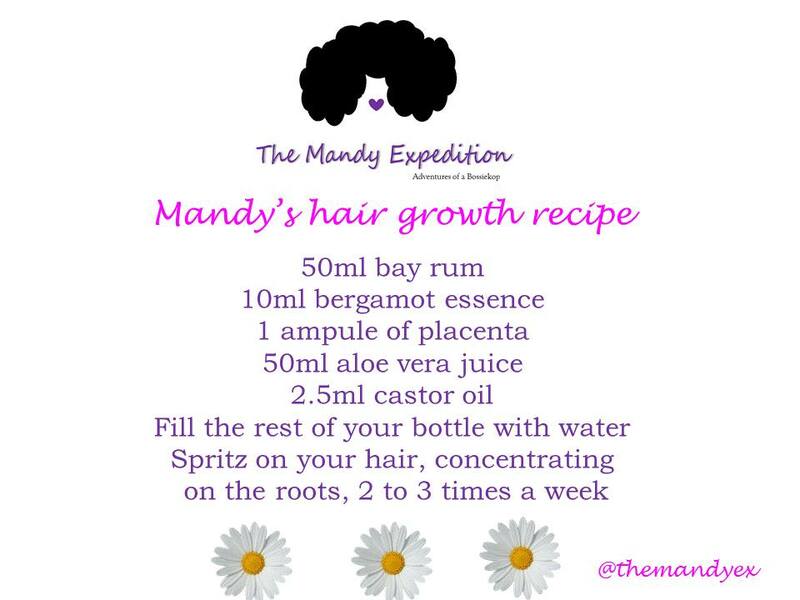 Mandy first posted her recipe for this growth mixture sometime in late 2014 and it literally took the South African online hair community by storm. Girls were all over her blog and various Facebook pages raving about the success they’ve been experiencing with the potion. I tried it for a short while but became quite lazy rather soon after I started with it and so my foray into accelerated hair growth didn’t last very long. This time though, I’m determined to remain fully committed for the duration of the challenge. So I want to invite all of you, my lovely followers to join me in this challenge. If any of you are interested, it will give you a few days to get yourself sorted with the ingredients. Go to Mandy’s blog for more information and guidelines, and feel free to interact with us on Facebook, Instagram and Twitter to track your progress. 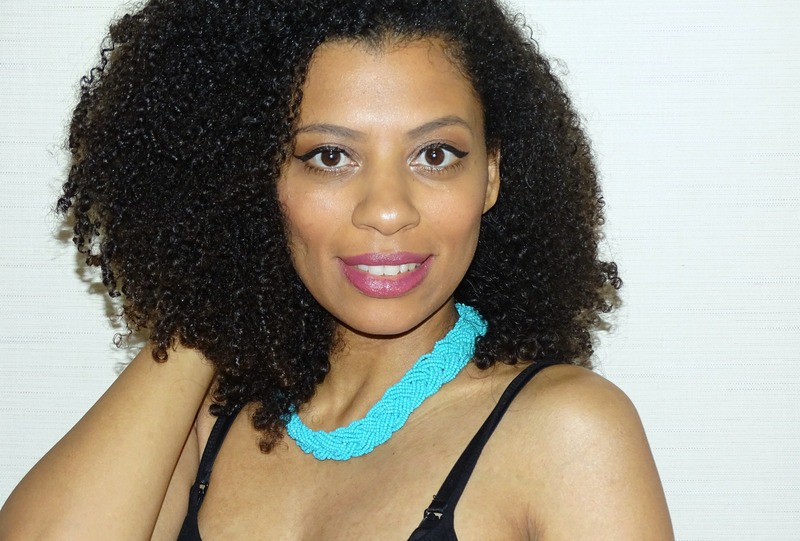 Next Post Why twist-out when you can wash and go? Any idea where one would get the ampule of placenta in the US? Stores? Websites? Thank you! Unfortunately I have no idea about the US, sorry Hun.